Today is the start of Week 30 in the quest to read 52 books in 52 weeks and should have you starting book # 31. We are more than halfway through the year and halfway towards our goal of reading 52 books for the year. "How's summer treating you? Have you been reading? Are you trying to make more time to read? 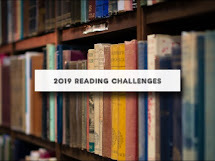 Let us know what you've been reading or what you hope to get to this month." I discovered Karen Rose a couple years back and love her writing. 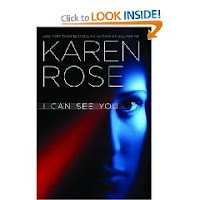 So when the opportunity came up to review "I Can See You" for Hachette Books, I jumped on it. As Shanra would say "Squeeee." It will be released on August 5th so will be reading it soon and reviewing. I'm also reading "Teaching the Trivium" by Harvey and Laurie Bluedorn which is chockful of tools for homeschooling, plus it contains a text of Dorothy Sayer's Lost Tools of Learning written back in 1947. Still very apropos to today and full of wisdom. Atlantis Revelation by Thomas Greanias. I'm a bit of a mood reader and there are so many books on my nightstand calling my name. I've been trying to work through the oldest first and trying not to buy too many new books. Looking at the books, it looks like I've managed to get through all the older ones, so now all the books are fair game now. OY! I was very good for a couple months and bought hardly anything at all. This month the temptation has been too hard to resist, especially when Amazon has their buy 3 and get the 4th one for free special offers. To see what everyone else has been reading or planning to read, click on over to 5 minutes for books. 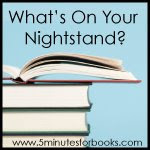 What books on your nightstand are calling your name this month?